Belmont Scion Service and Repair - 5 Star Auto Service Inc.
5 Star Auto Service is chosen time and time again for Scion service in Belmont. It doesn’t matter if you are driving an older Scion or one of the newer models, our auto mechanics will make sure your vehicle stays up and running. In fact, our warranty is a testament to the quality and reliability of the Scion service performed at our auto repair shop. At 5 Star Auto Service, we are are all about your peace of mind. We don’t want you to have to worry about the condition of your Scion when you are out on on the Belmont streets. That’s why our team is extremely detail-oriented, performing a bumper-to-bumper safety check on your Scion. 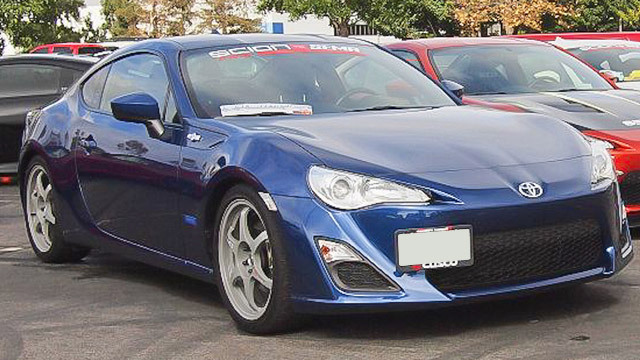 We often notice issues with your Scion that other independent auto repair shops and dealerships may have missed. “My car was running very rough. The problem was diagnosed accurately, corrected, and I picked up the car later that same day. Was also advised that the front brakes were worn so I decided to take care of that too. The total cost was very reasonable and the car is once again running smoothly. I can always count on Ned to get the problem fixed at a reasonable cost and in a timely manner. I highly recommend 5 Star Auto.” -- Kevin K.
For an auto repair shop that is the embodiment of the American Dream, hard work and determination, turn to 5 Star Auto Service. Bring your vehicle to our auto technicians and we will go that extra mile to properly service and repair your car, even performing a safety check and offering you shuttle service within the vicinity of Belmont. Schedule an appointment online for Scion service, or stop by our shop at 1444 El Camino Real, Belmont, CA 94002.